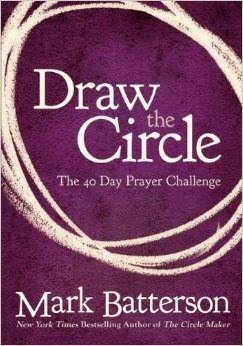 I'm sure many of you have heard of The Circle Maker by Mark Batterson, so the title of today's book will sound familiar. It's a follow-up to The Circle Maker, and I just started it. Here's a blurb, and we'll chat on the other side. I never read The Circle Maker, but when a friend challenged me to pick up Draw the Circle I was intrigued. I love encouraging testimonies from others' lives and every day of Draw the Circle includes one. It also challenges us. Not to simply believe if we walk in a circle God will deliver whatever our request is, but to draw close to God. To live a faith that is bold. To believe God can do anything. To ask for our dreams because he's the one who gave them to us. I'm only on day 10, but so far it's enriched my morning prayer time and I'm excited to see where day 40 will leave me! You can purchase Draw the Circle here. Pick it up and start your journey today. Have a great weekend, friends! I hadn't heard of either book before. Thanks, Susan!